German Unification and the Union of Europe discusses some of the most interesting questions in the study of comparative politics and international relations. The book studies the sources of continuity and change in German policy toward the European Union, set in the context of the competing pulls of integration into the EU, and unification of East and West Germany. 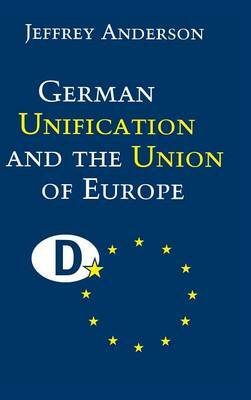 Employing a framework of analysis premised on the interaction of interests, institutions and ideas, the book asks: how has the domestic politics of unification influenced German policy toward Europe? Why has continuity reigned in some areas, whereas in others significant changes, sometimes reversals, have been registered? What are the implications of this checkered pattern of outcomes for Germany and for Europe? Jeffrey Anderson's book focusses on the political economy issues (such as trade, internal market, energy, and industrial policy) which represent key components of both German domestic politics and Germany's relationship with Europe. Awarded the DAAD 2000 Prize for Distinguished Scholarship in German Studies: Politics and Foreign Policy.